Sudden Cardiac Arrest is an electrical malfunction of the heart where the heart stops pumping blood due to an abnormal rhythm is known as an arrhythmia. This means that no blood can be pumped to the other vital organs in the body like the Liver, Brain and Lungs. 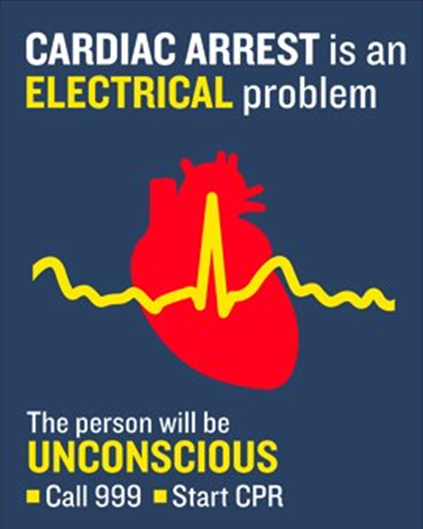 As an individual loses pulse, consciousness and the ability to breath, they verge on death and can only be brought back to life within a limited window of time using a defibrillator or AED. Most cases of sudden cardiac arrest (SCA) are due to ventricular fibrillation (V-fib). V-fib is a type of arrhythmia. In v-fib, the ventricles (the lower heart chambers) don't beat normally. Instead, they quiver very rapidly and irregularly. When this happens, the heart pumps little or no blood to the body. V-fib is fatal if not treated within a few minutes via defibrillation. CPR can also buy the patient vital time until defibrillation. A heart attack occurs when a blocked artery keeps oxygen-rich blood from reaching a section of the heart. If the blocked artery is not reopened quickly, the part of the heart normally nourished by that artery begins to die. Symptoms of a heart attack may be immediate and may include intense discomfort in the chest or other areas of the upper body, shortness of breath, cold sweats, and/or nausea/vomiting. 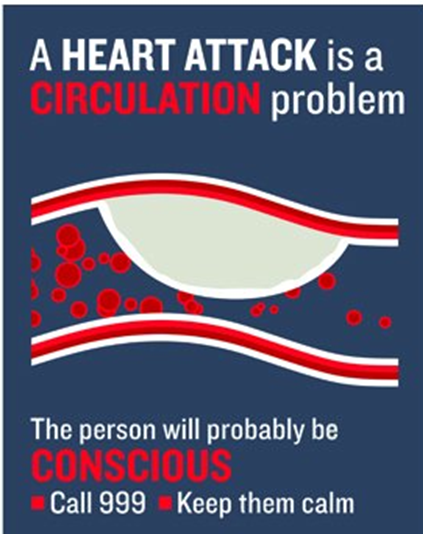 More often, though, symptoms start slowly and persist for hours, days or weeks before a heart attack. Unlike with cardiac arrest, the heart usually does not stop beating during a heart attack. So there is a link between them? Yes. Sudden cardiac arrest can occur after a heart attack or during recovery. Heart attacks increase the risk for sudden cardiac arrest. Most heart attacks do not lead to sudden cardiac arrest but when sudden cardiac arrest occurs, heart attack is a common cause. Other heart conditions may also disrupt the heart’s rhythm and lead to sudden cardiac arrest. These include a thickened heart muscle (cardiomyopathy), heart failure, and arrhythmias, particularly ventricular fibrillation and long QT syndrome.